This entry was posted in climate science, Physics, Science and tagged Moon, Tides, Weather. Bookmark the permalink. Congratulations, I am sure that in time your observations will be confirmed by others as part of a coherent theory to explain the evolution of the northern and southern Annular Modes the major modes of natural climate variation that are observed on the planet. The important task will be to work out what is behind the longer term evolution of the modes and how they interact to determine the course of climate by latitude and longitude across the globe. Have you looked at the situation in the Southern Hemisphere where the mode is more symmetrically distributed about the pole? 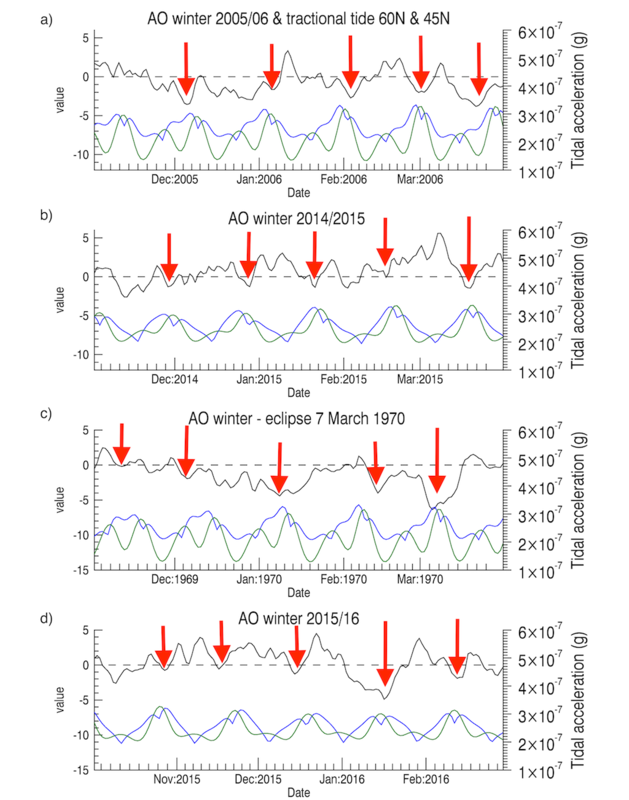 Thank for congratulations Erl Happ, we hope this is the beginning of a global opening research to evidence of a tidal effect on the Polar Jet Stream and weather and climate. No we haven’t looked at the Southern Hemisphere. 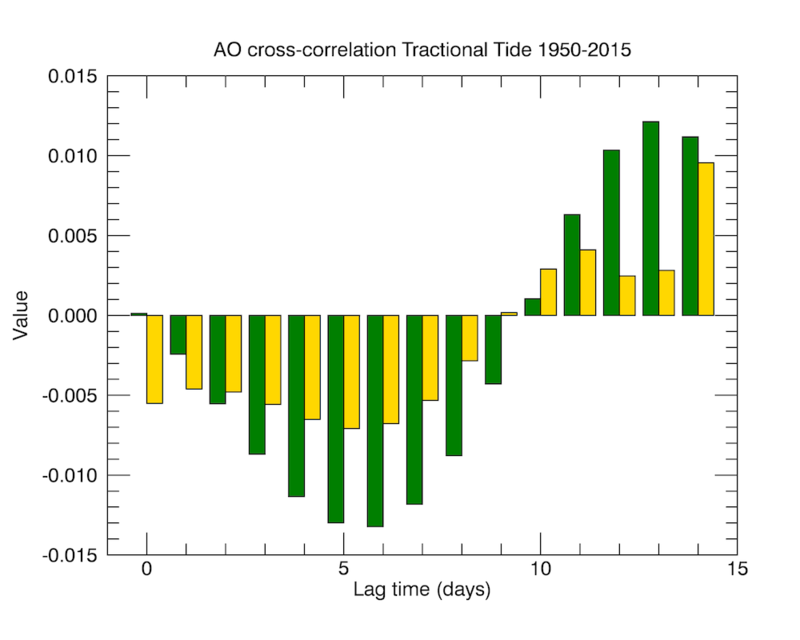 However the regular N-S tidal position whose extent depends on the 18.6 year precession cycle must play a role. The people who write these things don’t come from a place where ultimate cause and effect are important. They look for statistical associations. Nevertheless, there is much to learn about the patterns of atmospheric variation. There is a strong association between geopotential heights and sea surface temperatures that is due to flux in cloud cover allowing more or less solar radiation to reach the surface. 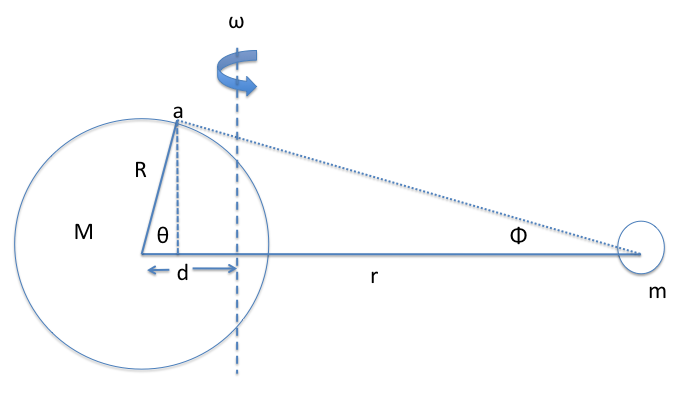 Heights relate to the temperature of the atmospheric column both at and below the point of measurement. Surface pressure moves with geopotential height and sea surface temperature at all latitudes south of the equator. Congratulations on making a mark on the wicked problem of the Lunar influence on climate. Even Dave Keeling himself was a big proponent of the Lunar-climate connection much to the embarrassment of the CO2 crowd. The tides must have a big impact also in ocean turnover, bringing colder water up and cooling the atmosphere while warming the oceans. Tides are about as strong as winds in ocean turnover and they can act even below sea-ice. Thanks Javier, Tides act at all levels in the ocean even at the deepest ocean floor. So they must play an important role in ocean turnover. Clive, nice work. Sounds like something that should be considered for inclusion in the global weather forecasting models. I am very happy do you nice our work (Clive and me) and i hope that international scientific community do you read your comment “Sounds like something that should be considered for inclusion in the global weather forecasting models”. 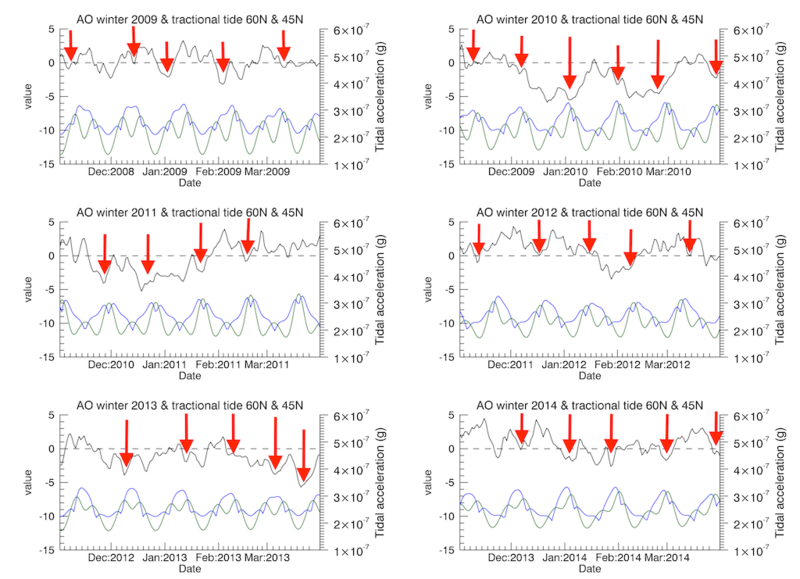 Inclusion in the global weather forecasting models tides effect, is very important for research atmospheric and climate changes. The Jet Stream is dominator climate and weather in the world and its variations over time are marked by the tides. I hope that international scientific community understand the importance of our research. Thank for your comment. Sidorenkov has various papers on related matters e.g. I am very interested in the position of the moon directly affecting the Earths weather. One perspective not mentioned , the old school re; older people who use to plant by the moon and had wonderful crops you dont hear of any more. I have been told by my great aunt when the moon is high in the sky means change in weather. Often cold and everytime she was right. It is intersting and would like to know more. Also yes a ring around moon also often means cooler weather also, can study the scientific reasons whyl But to actually understand the moons position in relation reading the moon is a different sinerio , Tks.